The Babbitt Brothers came to Flagstaff in 1886. They began a ranching business: the C.O. Bar Ranch. A lumber company was also opened. At this point, David Babbitt began to realize the value of the railroad to transport goods. The business then expanded to include merchandising. General stores were opened in Flagstaff and the Grand Canyon where both stand to this day. 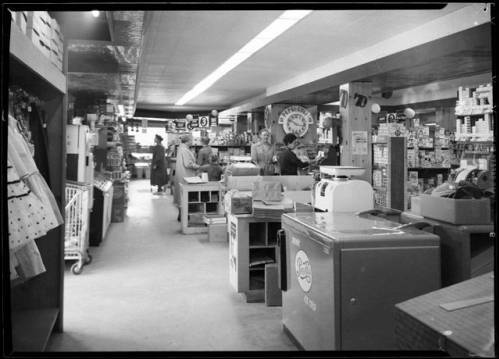 Interior of Babbitt's General Store, Grand Canyon, 1959.